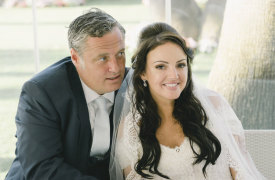 A wedding in Sorrento is an unforgettable mix of romance and charm. 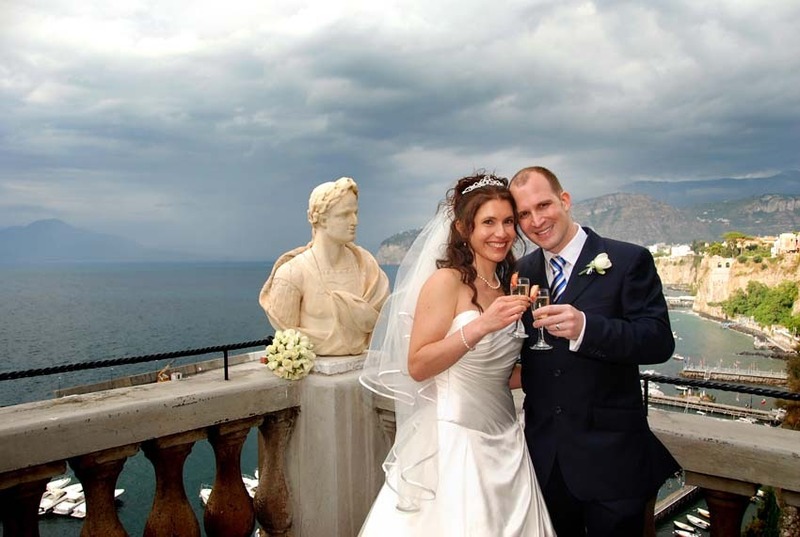 If ever an area captured the truly colourful Mediterranean flavor of Italy it is surely Sorrento. An inspiration for poets, writers and artists for hundred years, today its attraction is as powerful as always. At almost every turn of its famous twisting roads you are greeted with the type of scenery that dreams are made of. 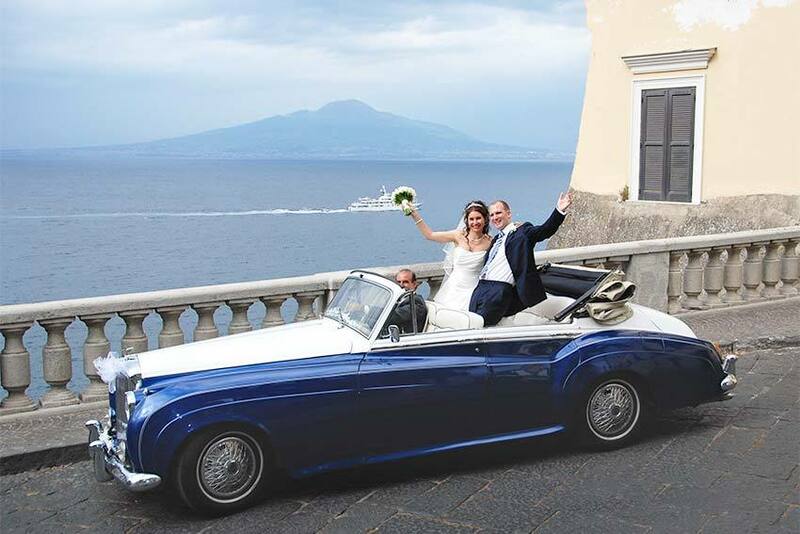 Sorrento became a very popular wedding destination and couples from all around the world choose to get married in this enchanting southern Italian city of as it offers a variety of romantic venues where your civil and outdoor wedding ceremony can take place, while at this time Catholic Wedding ceremonies are not allowed by the local Roman curia offices. Lush plains of citrus groves, vines and orchards form a backdrop to characteristic seaside villages which nestle at the edge of the sea or on their clifftop vantage points. Colorful and lively, Sorrento has a wonderful array of shops, beautiful panoramic cafes, good restaurants, and cheerful open air markets. 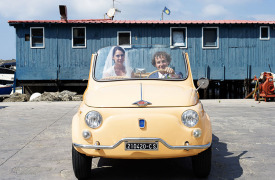 Sorrento is an excellent base for excursions to the nearest ruins of Pompei and Herculaneum, the romantic island of Capri and the stunning Amalfi Drive. 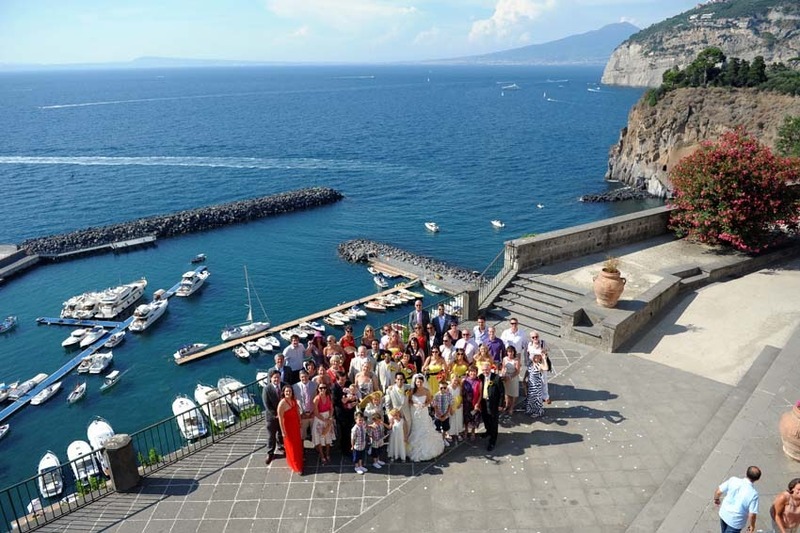 Sorrento is one of the favorite destinations for a traditional Italian wedding showcasing one of the most enchanting panoramas of the world!